I just came back from a company speaking event (yes, one which pays my pay check) where I talked about orchestrating customer engagements. (see link below) Which is a smart way of saying just make life simpler for your customers and they might just stay your customers for that bit longer. It really is a big deal. I even told my Harry’s Hardware story to set it all up but you have to come see me live to hear that one. Nevertheless, all the work which went into building the story around how things have changed so much, communications have gone online, more real-time and generally all over the place. Also how #Avaya (ok, got it into the blog) has got a really great solution to make all those separate customer communication jive together and this all had me so busy thinking. 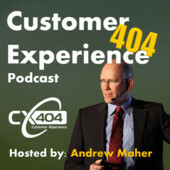 Since around the end of 2012 maybe mid 2013 the buzz word customer experience was taking off. I really don’t get off on buzz words as they take on their own meanings and mismeanings if that is even a word. Still, the conversation was moving away from the tools, the systems and the processes to now looking more closely into the overall experience of customers, and that scared many. To help understand the level of experience or challenges those customers were having the Customer Effort Score was introduced. If you know who developed this first then just put it into the comments. I’d actually like to know. Most of you are already familiar with this but it just was a way to calculate how many hoops or steps, or even more simply how hard was it for your customers to do business with you. You go online and find the part you want and click buy. You get the part delivered correctly and timely. You have a question to your electric bill and send an email asking to explain the details. You get an automated response that it will be handled within 24 hours. 36 hours later you still have heard nothing so you now call. Managing your way through an IVR to the point where you can enter #5 for billing questions, you come through to a representative who cannot see your email. Asks you all the details which were in the email but then proceeds to handle your case. Finally, you are told you will receive a notice of the outcome within 48 hours. I’ll stop here as you probably get where this could go. In a more ideal world, still assuming billing errors occur, that initial email would not have had the standard response but already have processed the contents and provided a specific response for that customer which may have included we need more information, can we call you to discuss this etc. The point is a more specific set of rules need to be in place to address each customer in their context. And to really hammer in the point, instead of just wanting to reduce the customer effort score we should be working to make that score a 1 in every interaction. The 2s should only be the exception when there is an error like that dark red pair of shoes will take one day longer to deliver. And 3s? These are for catastrophic cases. I’m thinking floods, postal strikes (I live in Europe where this is common) and other cases which may be outside of the company’s true control. So, orchestrating the customer engagement is step one to reduce customer efforts but the real end game is eliminating that effort. Customers just want their time back and you want to make more money. So, let’s get to it! Tell me what your thoughts are on this. Am I bonkers? Is eliminating the effort really not the key? Is it not even close to possible? I hope there is a chance and I am going to commit everything to seeing that become a reality.